Erica Bunker | DIY Style! 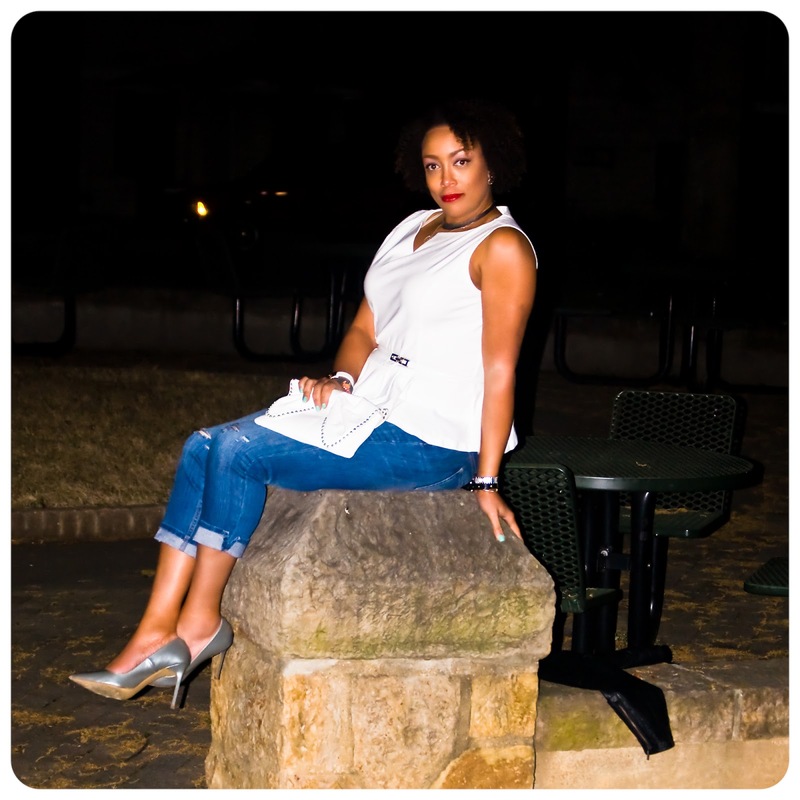 The Art of Cultivating a Stylish Wardrobe: What I'm Wearing | A Casual Night Out: A Peplum, Distressed Boyfriend Jeans and a Pointy Toe! 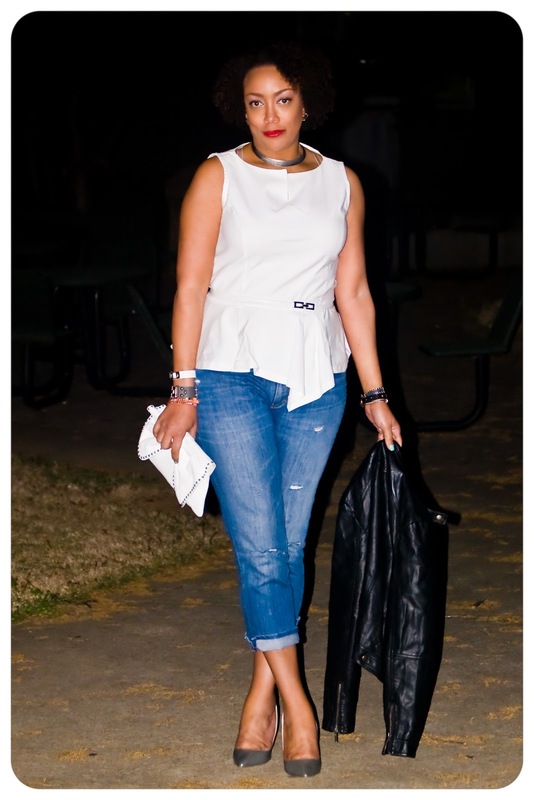 What I'm Wearing | A Casual Night Out: A Peplum, Distressed Boyfriend Jeans and a Pointy Toe! Boyfriend jeans have to be the most comfortable thing ever. I found these at TJ Maxx at a RIDICULOUS markdown. They were regular $295.00. YIKES! I got them for a mere red ticketed $39.00. They were perfectly faded and I added more distressing to them. They are capri length with side slits. And did I mention that they're comfortable? LOL They have a great relaxed fit, the antithesis of skinnies! 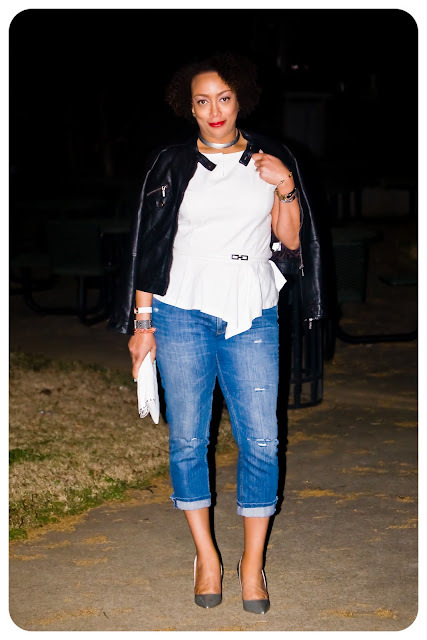 The way that I decided to style mine was to wear them with a pretty, frilly peplum top and pointy-toe metallic silver pumps. These shoes will be my new neutral! 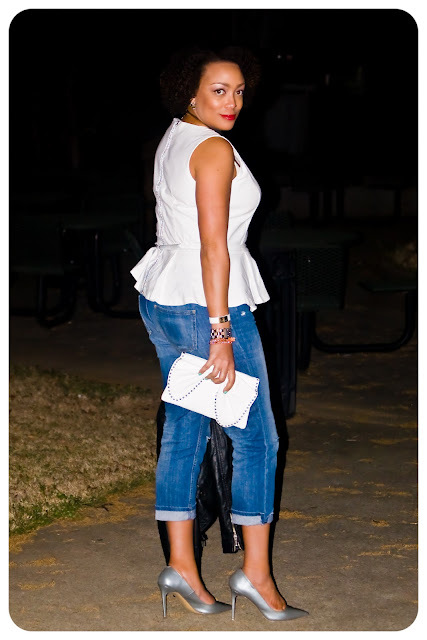 Wearing: peplum top: New Look 6130, similar here and here; jeans are Escada Sport from TJ Maxx. Similar here and here. Pumps are from ShoeMint.com. Looking amazing! You are one of my sewing idols! Great buy on the jeans - they looks great on you. Love the jeans and how you styled them!